Bioplastics currently represent about 1% of worldwide plastic production, and the global market for it is predicted to grow by 20% over the next five years*. In part this growth is fueled by consumers’ increasing awareness that they should take better care of the environment and support sustainable plastic products. “With the fast development of new products, such as biodegradable shopping bags, there is also in South Africa a growing consumer interest in bioplastics. Unfortunately, there are also many misconceptions surrounding it,” says Rory Murray, Marketing Director of Tuffy Brands. Many consumers are under the impression that biodegradable bags are the best option to prevent pollution. “In the right conditions biodegradable plastics can break down within three to six months, which is indeed much quicker than their conventional counterparts,” he explains. But if not disposed of correctly, these bags will possibly not biodegrade, or do so very slowly, Murray warns. Murray explains that the three critical components of biodegradation, namely heat, light and oxygen should all be present for the process to take place, but they are seldom found in the right conditions within a home compost bin or a landfill. “So, if your biodegradable plastic bag ends up in a landfill or in your backyard compost container, its decomposition will most likely happen at a much slower rate than if it was exposed to air, light and heat,” he says. “If these biodegradable bags do not disintegrate, but just fragment into tiny plastic pieces, care should be taken that it doesn’t end up polluting the environment even further. In the ocean for instance, where the water is too cold for the natural biodegradation process, they will not break down, or just do so over time. The small plastic parts can be just as damaging to life in the ocean as other waste,” he says. The misconception also exists that biodegradable and compostable are the same thing, but it’s not. Murray explains that biodegradable basically means that a plastic item can decompose naturally in the environment, while an item that is compostable should turn into nutrient-rich compost. He says that plastic bags labeled as biodegradable should be able to break down into small pieces, but aren’t necessarily compostable. Murray advises that consumers should check the wording on plastic items carefully to dispose of it correctly. “Until technology surrounding compostable bioplastics improve and more options for the proper disposal of these products are available, the better plastic is still the one that can be easily recycled and reused,” Murray says. Murray says that with a current input recycling rate of 43.7 % for all plastics, increased recycling can only further support environmental care, job creation and ultimately our economy. “Raw materials to create plastic products are becoming scarcer. Rather than consuming our resources to create new single use products we should reuse. 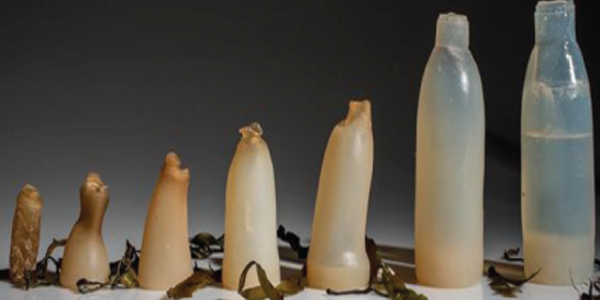 When reuse isn’t feasible, bioplastics can be the better alternative,” he adds.